House-made tortillas and handcrafted draft cocktails are the signatures of Fat Baby Tacos in River North. Choose from five styles of tacos and burritos, stuffed with slow-roasted chicken and carnitas, char-broiled steak and shrimp, and vegetarian-friendly queso and veggies. A 12-seat, all-season patio showcases a plant-inspired mural by local artist Kasi Turpin. Fat Baby Tacos, 109 W. Hubbard St., Chicago, IL 60654, 312-527-2229. A refurbished Wonder Bread truck acting as a barista station is the focal point of Werewolf Coffee Bar in West Lincoln Park, the first coffee bar from DMK Restaurants. Look for a menu listing local java blends from Dark Matter and Metropolis Coffee, as well as Rishi Organic Teas from Milwaukee. Werewolf Coffee Bar, 1765 N. Elston Ave., Chicago, IL 60642, 773-977-7673. DineAmic Group will open Barrio in the heart of River North in summer 2017. "Top Chef" alum Katsuji Tanabe will helm the upscale, rustic Mexican concept. The restaurant will feature Mexican street food, a Mexican-style robata grill and dishes such as guajillo-glazed Berkshire pork belly and grilled diver scallop with poblano-uni relish. Barrio, 65 W. Kinzie St., Chicago, IL 60654, no phone. 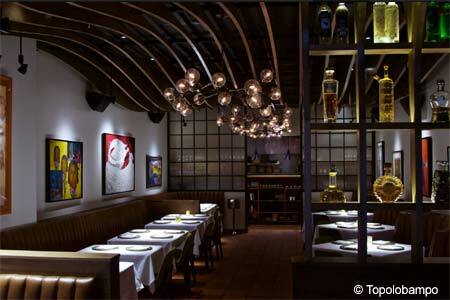 Rick Bayless' upscale Mexican restaurant Topolobampo has unveiled a new design for the dining room, including and undulating wood ceiling. Topolobampo, 445 N. Clark St., Chicago, IL 60610, 312-661-1434. Attention ladies who tea: Fig & Olive offers tea service Wednesday to Sunday from 3 p.m. to 6 p.m. For $35, enjoy traditional savory and sweet high tea menu items such as smoked salmon profiteroles, heirloom tomato tartlet, zucchini bread and white chocolate dried cranberry scones served with vanilla crème fraîche and honey butter, macarons and more. Upgrade to Royal Tea service (which includes Moët & Chandon Champagne) for $19 more. Reservations required. Fig & Olive, 104 E. Oak St., Chicago, IL 60611, 312-445-0060.